But not the one you probably think. I'm talking about the first iteration, the GL500 or GL650 or other variants. Everything I have read about them says that they were ahead of their time. Like typical Hondas, engines are pretty bulletproof. Shaft drives, water cooled, air adjustable shocks. And it came with a convertible pillion seat/trunk and saddlebags. They seem to be fairly common, generally a few on the local CL at any given time. Price ranges from dirt cheap and dirty to about 2-3K and really nice. They can be had with the full fairing or naked with or without a windscreen. Only thing that holds me back, (besides a wife who would kill me, but who doesn't have that problem... ) is that with two bikes already, I really dont have a place for one unless its stored outside, and I don't care for that option. I'd consider a project if I had a separate space to work on it, maybe in a couple of years when I retire? My take---almost 40 year old bike---can be expensive to keep going. Was available as 500 US market, 400 japanese market-----first ones had some major troubles....but I forget what it was. There is a forum for them,too. My take---almost 40 year old bike---can be expensive to keep going. Was available as 500 US market, 400 japanese market-----first ones had some major troubles....but I forget what it was. My memory is a bit rusty too, but early CX 500’s had problems with cam chain tensioners, alternators, and corrosion on their Comstar wheels. Once they were sorted out and reverse Comstar wheels were fitted, they evolved into a popular range of bikes with a variety of different models including a Turbo. My neighbor owns a 650 I think. Over 90k on it he rides it on nice days. Looks like the silver-gray one a nice bike for its age. If you want one buy a good running machine not something that needs work.. Check the gas tank for rust and carbs. for leaks. Old school stuff is different. Rust in tanks can be hard to remove only to find a leak after cleaning them and all that ends up in fuel system. Parts are hard to find. After repairing a few old bikes it takes time and cash to do it. I remember they suffered from non starting if it was left for more than a couple of weeks. I had the same trouble with CB250's and CB400's with twin vacuum carbs. Slides would stick. Engine will idle but slides didn't want to open or one would stick. After carbs warmed at bit usually went away. Rebuilt a set of carbs on 79 CM 400A and failed to clean tank properly. Had to do that about 4 times from junk in tank. Ignorant at that time. I got that bike for free and got it running. Sat outside for a long time and paint was bad- ugly. Found a 81 CM 400 5 speed bike with a seized engine for $200 and swapped everything but the engine and frame from that bike. 81 was nice then it looked good. Traded that for something should have kept it. Another reason to buy a 500? PRINCE rode a purple one in the Purple Rain movie! That alone makes it a must have! I sat on THE bike at the Patterson museum in CA awhile back. Had a tape deck behind the Vetter fairing! Well, despite the mixed response, I still think they are cool. I'm thinking about putting up another shed in the back and that would be dedicated to working on bikes and other projects and leave the garage open for woodworking and space for the two current bikes. I think any old bike will have it's quirks and issues. If you like it, buy it and ride it. Easy to work on, plenty were sold, so plenty of spares around compared to many other older bikes. Almost a cult bike now, if you bought one and then changed your mind later, you should have no problem selling it on. I have an 82 GL500. Charging system in the first couple years of the CX500 was not as robust as the 82 but the stator can be retrofitted to the older bikes. It's a weird ride, at 60 mph it's turning almost 6K rpm so It's kind of loud in that cockpit, especially with the full fairing. It has the vacuum petcock so a couple times if I was coasting downhill the bike would just shut off, it needs throttle to keep the vacuum up. I would only buy one (there are lot's of them out there for not much more than a grand) if you are comfortable working on old bikes. Last fall I had to change out the water pump seal. Not too hard but not simple either and you do need a good set of tools. The air suspension and luggage system (same as a GW1100 of the time) is pretty sophisticated for the time. It's a plush(ish) ride - but I'm talking 1982 plush. It is NOT a canyon carver. Thanks Dale. That was the type of response I was hoping for. Not familiar w/ vacuum petcocks, guess its some sort of automated system to replace the manual valve everybody else uses. I guess the itch I'm trying to scratch is to have another bike to play around with and fix up a bit. Something not that heavy, at least lighter than the Swing scooter, but can carry some cargo, a mini bagger. Nothing as small as a 250, there are plenty of them around, Honda's, Suzuki's, Yamahas and not as big as say a 750 Shadow or Virago either. And I'm not that hot on bikes with their foot controls so far forward either, I prefer a more upright seating position rather than the typical cruiser. Probably one of the things I really dont care about with the current CTX 600. If I can, I'd like to build a small shed and put a motorcycle lift in it along with some storage for tools and supplies. I'll keep the Swing and the Spyder and look for whatever "projects" come my way. At least thats the plan for now. If you find one or the CX500 and it's cheap just go for it. I've wanted a lift as well but honestly I can do everything fine on the ground with a gel pad under my knees (I'm 58 so things are starting to ache). I don't put a lot of miles on my GL500 but when I take it out it usually draws some comments. Oh, and it really doesn't feel any lighter than the Silverwing scooter. It feels like a medium sized cruiser and the riding position feels more cuiser-like than UJM. Vacuum petcocks can be replaced with regular ones and the vacuum line from the carb plugged so that isn't a deal breaker. Their only plus is that you don't need to remember to shut them off. 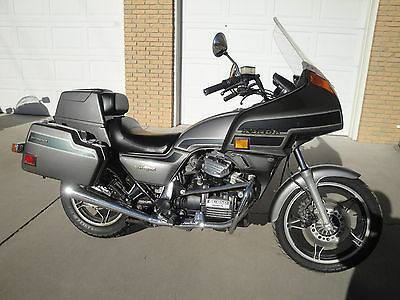 My wife has a CM400A (Hondamatic, no clutch) and that is a fun ride. Not fast but it feels fast even at 40mph! Lately I put more miles on my CRF250 than anything else. Hondamatic 400-450 started in 1978. 78 CB400A 1 year only bike. 79 were CM400A s Engine was enlarged and a few years later went to 450A s I think 83 was last year for these. CB-CM were also sold as 5 speed manual trans. Honda also made a CB 750A for about 2 years. 4 cylinder in line same 2 speed semi-auto. Many different CB models over the years and different engines. Join the Facebook group for Honda Silverwings - they come up for sale often and fairly reasonably. But hurry please before someone tosses all the luggage and cafes another one. My bride had a GL500 several years ago (like 35 years ago). It was a decent bike for its time. The engine is not as bullet-proof as some would proclaim. The splines that drive the rear wheel are prone to failure. The bike does not handle all that well - in fact pretty much "loose" at anything much above 70 mph. And the bike is pretty under-powered for its size. But overall, it was a good bike for her. When we first got married (38 years ago) the bikes were all we had for transportation. We didn't even own a car for the first five years we were married. So she used it for primary transportation and I can't say it was really all that bad for what it was. Over the years we had it I think she put about 75,000 miles on it - I recall putting a rear end in it because the splines failed. And had the engine apart various times for different issues from the cam chain to valves, water pump, clutch and the damper on the driveshaft that failed. Parts that are all pretty hard to find today. I'll put it this way - we just got back from Alaska on our Silverwing Maxi-scoots. A little over 8,000 miles in the last month. While the FSC600's were superb on our trip, I would not even THINK about doing that trip with an old CX500 or GL500 even if it was brand new. The old CX/GL was not all that comfortable to ride, nor was the reliability good enough to run sustained freeway speeds out west, nor was the power sufficient for mountain riding at high altitudes. They were sold during the days of the old 55 mph nation-wide speed limit in the US - there is no way it stands up to sustained high-speed touring at the speed limits we can run today. Thanks Chris, that is the type of feedback that is very helpful. I've read some on the issues these bikes have and there are mentions of the "triple bypass". If and when I can get a shed built with a MC lift table, then I'll get serious about one of these or something else as a project to work on. Right now its just window shopping and getting smarter on the history of various bikes. If it were me looking for a "project bike" I'd go with a Harley Panhead or Shovelhead. I had a 1966 FLH at one point and today I'd give my left nut to have it back. Those you can get parts for, you can turn a heap of rusted junk into an incredibly expensive collector bike with a skilled restoration, and they are a true blast to ride. An even cooler "project bike" would be a 1952 Pan with a hand clutch. I've looked at a couple examples of those but nothing below $20,000 in restorable condition. We're heading out to Sturgis tomorrow and there's always a few for sale there - some restorable and some restored examples that carry price tags of $100,000 and up if it was restored to factory condition and all the serial numbers match. The vast majority of the Panheads were turned into choppers. Finding a 1952 FL that can be restored back to factory condition these days is so rare because people that got 'em don't get rid of them, and they know full well what they're worth on the collector market if they do. Even Panhead choppers typically carry price tag of $20-30K. Here we'll have to agree to disagree. I'm never touching a Harley. I'll go with something Japanese but no HD. When I do my searches on CL, its with -harley in the find window. To each his own. From my standpoint the Japanese bikes are here today, gone tomorrow. They were designed to be throwaways and today there's thousands of them rusting away in salvage yards because parts support ended for most of them 5 years after they were out of production. We've owned and ridden several Harley's over the years and we've yet to own one we didn't like. In some cases they're not as high-tech or "polished" as the Japanese machines, but they last and stand the test of time. This coming week at Sturgis literally thousands of 1930's, 1940's and 1950's Harley's will roll into town - some of them ridden across the country to get there. With Japanese metrics you're lucky to find enough running 1970's models to hold a get-together at the Dairy Queen. I can appreciate them. Have watched plenty of pickers episodes and those guys are over the top about old Harleys and Indians. But as you mentioned they tend to be more expensive and I'm looking for cheap. For Metrics the first Honda scooters are cool to restore. I got a 1971 Super Cub C70 Passport Deluxe that I restored a few years back. I found a lot of the parts on eBay used, including the optional basket on the front. Believe it or not, the hardest thing to find for it is a 6V battery. I currently have a 2S LiPo battery in it that has about the right voltage for it to work. Based on owning over75 new bikes since 1955 and a few junk used ones----old Hondas can be expensive to fix or repair....if even possible. Having lived/worked in Japan for over 25 years---many of the lower end bikes/ scooters are considered throw away.....scrap rather than repair. Police bikes are crushed for scrap when taken out of service. I have Harley experience---bought new 1966 factory sidecar outfit. Old one can be repaired forever....and when you are done, somebody always wants to buy! And there are parts around. Suspect as SilverWings get older, too, repairing/parts will be difficult. 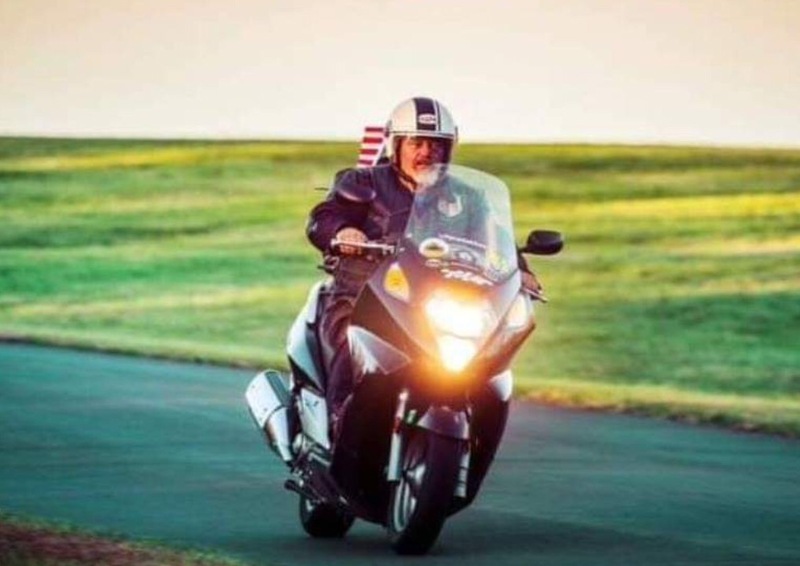 On my 2013 SilverWing left over, ABS light came on in FL---module cost around $1100----Chattanooga long time dealer employee got light to go out---how I do not know, but soon after I traded scooter. That brings back memory of the time we took a trip to Mt St. Helens because we heard of the disaster there and wanted to see it. 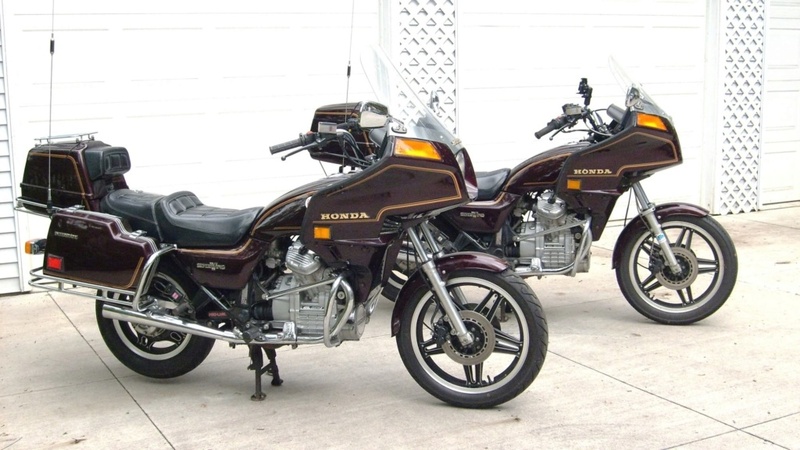 At the time, my wife on her almost new 1981 GL500, I had the old '66 Glide, another couple rode with us two-up on an almost new Suzuki GL1100GK. It was in 1983. By the time we got to Murdo, South Dakota the 1100GK had developed a severe engine knock. The generator in the Glide had quit. The starter went out of my wife's bike. At the campground in Murdo that night I pulled the generator out of the Glide and it had a broken brush spring. I put a small rock behind the spring to keep the brush in contact with the commutator and it was good as new - it made the rest of the 3,500 mile trip that way. We pushed my wife's bike to get it started. We decided to try to limp the 1100GK to the Suzuki dealer in Rapid City. It didn't make it - it seized up on I-90 about 50 miles from Rapid. So the other couple were out and we left them behind and made arrangements in Rapid City to get their bike towed and give them a ride into Rapid City so they could get back home, then figure out what to do about their bike. We went to the Honda dealer in Rapid and even then, with an almost new bike, anything starter related for the GL500 was unobtanium. Minimum two weeks to get any parts for it. We pulled it out and looked at the starter and there was no repair - it had totally melted the field winding due to oil getting into it. So we decided to use the push start method for the rest of the trip.